Yale lock history has a very British flavour, although its origins are very much over the pond in America. It was the Yale family who invented the Yale Lock, which is essentially a pin tumbler lock. Along with Henry R Towne, it was Linus Yale, Jr. who invented the pin tumbler lock in 1868, having already invented the Cylinder lock in 1848. Based in Connecticut in America, the original lock company which invented the Yale lock was called Yale Lock Manufacturing Co. The company name was later changed to Yale & Towne, where they registered 8 patents for their pin tumbler safe lock, safe lock, bank lock, vault and safe door bolt and padlock. Yale & Towne then expanded its business worldwide and acquired a British lock company called H&T Vaughan early in the 20th century. Based in Willenhall, this British company was a long established lock manufacturer based in the historic centre of the British lock industry. During this worldwide expansion the generic term of pin tumbler lock was changed to Yale Locks. In the first half of the 20th century in Britain, the Yale Lock had great prominence in the British motor industry. In the middle half of the century, cheaper ‘leaf tumbler’ technology became available and the Yale lock’s popularity in the motor industry diminished. A resurgence happened in the 1960’s however, when the M69 window lock became popular as a security device especially in vans. Nowadays, Yale locks are synonymous with domestic and commercial buildings and are widely seen as the world’s most popular lock. 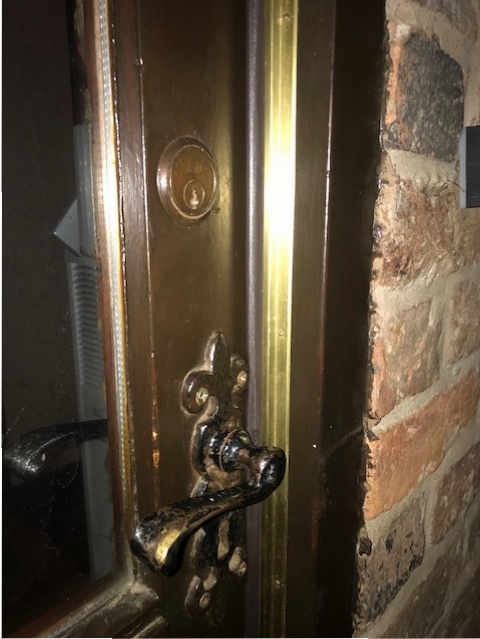 In Britain, the entrance door lock with cylinder came to be the traditional surface mounted front door lock for many homes and businesses nationwide. To find out more about the history of the Yale lock, ring Stephen direct on 01709 630027 if you are in the Rotherham area.